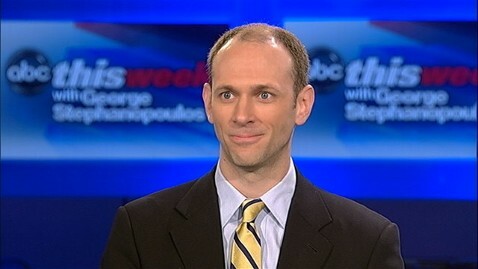 Goolsbee: "I think Matt's right that we ought to come forward - and both sides - and the president should have a mea culpa, that we have gotten into a place that was very different from what the campaign wanted it to be from 2008, one in which - and, look, I think you could blame more the Republicans, but I'm sure the Republicans would say more you blame the president, but we got to - we got to back away from that. Otherwise, we're not going to be able to confront this pretty serious challenge at the time when we - when we could do it." Dowd: "I think - I think the president - the only thing I'd say about the president - I think his message is right, but he should start with a mea culpa, because the president in 2008 ran on this exactly same message. President Bush ran on this and didn't do it and basically made the country more polarized. " Scroll to 16:30 in the video below to hear Goolsbee's comments.